What Are The Airlines That Give You Free Inflight Wi-Fi? Meditate and watch the clouds float by, or follow-up on some of the 13,457 unread emails in your inbox? Flying can be a temporary escape from the chaos on-the-ground, but in this day and age, many flyers expect to have at least the opportunity to stay connected to Wi-Fi. There are plenty of strategies to nabbing free Wi-Fi on flights, from freeloading on a friend’s Wi-Fi pass to using a card, like the American Express Business Platinum Card, that includes 10 free Gogo Wi-Fi passes each year. However, 11 airlines around the world now offer free Wi-Fi to all passengers—yes, even in economy. These are JetBlue, Air New Zealand, Norwegian, Qatar, Emirates, China Eastern, Philippines Airlines, Qantas, Hainan, Nok Air, and Aer Lingus. Even more airlines provide free connections to international business and first class passengers. While Norwegian Airlines might be synonymous with low-cost, they surprisingly offer unlimited free Wi-Fi on their shorter intra-European and also U.S. to Caribbean flights. It is noteworthy that Norwegian’s transatlantic flights do not offer Wi-Fi, paid or not, though the airline is engaging in plans to install free Wi-Fi fleet-wide, eventually. Qatar Airways is known for their amazing business class products including the highly-regarded QSuites, but there’s a lot less chatter about the airline’s economy experience. Everyone onboard, including those in back, get 15 minutes of free Wi-Fi or 10 MB of data, whichever comes first. Pittance. Qatar’s Wi-Fi service is provided by OnAir—a provider that is known for oppressive data caps and expensive, slow service. Once you use up your little 10 MB taste, there are several tiered data options to choose. None are enough to comfortably surf without fear of quickly reaching a cap. Thankfully, Qatar is also testing out a new Wi-Fi service dubbed “Super Wi-Fi” onboard select Boeing 777-300’s. An entire hour is free on these flights. Another Middle Eastern airline makes the list. Emirates offers 20 MB of free Wi-Fi on all flights. Until last year, an additional 500 MB was just an extra $1. That’s since changed, but pricing is still reasonable beyond the 20 MB. However, the issue isn’t with availability so much as speed. Emirates is known for slow, almost unusable Wi-Fi speeds. Your mileage may vary. This one comes with a bit of an asterisk, as China Eastern’s free Wi-Fi policy is a bit convoluted. Registration is done in advance online, is limited to 100 passengers per flight, and is subject to China’s “Great Firewall,” blocking most social media sites and Google. China Eastern has said its free Wi-Fi has been in “test phase” on their website for at least the last two years so who knows when they’ll pull the plug. And keep in mind mobile phones (even if in airplane mode) are sometimes not allowed to be used onboard Chinese airlines, including China Eastern. Philippines Airlines provides 30 minutes of Wi-Fi or 15 MB, whichever comes first to all of their customers. However, it is only available on select international aircraft, including most A330s, 777-300s, and all of their forthcoming A350s which will be serving Manila to London and Manila to New York routes. Qantas has several dozen domestically configured 737s and A330s with free Wi-Fi for all. They will continue to expand their Wi-Fi reach in the coming years with international flights expected to have Wi-Fi by 2021. As of March 2018, mainland Chinese carrier Hainan offered 130 MB of free Wi-Fi for all customers onboard their 17 787-9’s, accounting for 30% of the airline’s wide-body fleet (and most flights to the United States). Adorable Thai low-cost airline Nok Air, based out of Bangkok flying to 25 destinations, offers free unlimited Wi-Fi on all of their flights. All Air New Zealand planes that are equipped with Wi-Fi have it for free. As of March 2019, most of Air New Zealand’s Boeing 777 jets are Wi-Fi enabled, which are typically seen on long-haul routes to the US and London. The airline’s new Airbus A321neo jets now flying between Australia and New Zealand also have Wi-Fi. Notably, Air New Zealand has yet to install Wi-Fi on their Boeing 787 Dreamliner fleet. 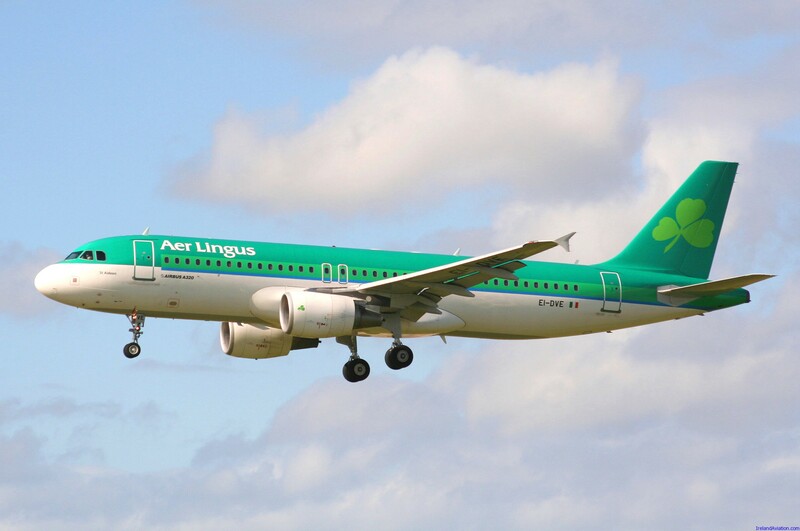 Aer Lingus will become the first European airline to offer complimentary Wi-Fi to all passengers on transatlantic flights when it takes delivery of its first Airbus A321LR jets in Spring 2019, 20 MB of Wi-Fi will be free. It’s an eclectic mix of carriers that offer free Wi-Fi. JetBlue still takes the reigns as the most user-friendly free Wi-Fi service with zero restrictions and departure gate to arrival gate usability. Make no mistake, most airlines charge for Wi-Fi. The equipment has historically been expensive and run by a third party. However, new technology is making it more affordable for airlines, which view it as a competitive advantage. Delta Air Lines CEO Ed Bastian has spouted ambition to make Wi-Fi free on every flight shortly. In the coming years, we’ll see more airlines offer free Wi-Fi and messaging services to customers. As for myself, I kind of miss the days before Wi-Fi existed at 35,000 feet. You’ll most likely find me disconnected, freeing up precious bandwidth for everyone else onboard. Are there any other airlines you know of that offer free Wi-Fi, even in economy?